If you are under 18, please ensure that you read this policy with a parent or legal guardian. We do not actively market to children and we never knowingly ask someone under 18 to divulge personal information. Transaction services and forms on this website are intended solely for use by persons over the age of 18. Please do not attempt to use these features on our website or send us any personal information if you are under 18. We will hold your personal information on our systems for as long as is necessary to provide you with the goods and/or services you have requested. You may inform us at any time if you wish us to cease using your personal information; please email us if you wish to have your personal information removed from our systems. "Cookies" are small pieces of data, which often include an anonymous unique identifier, that are sent to your browser from a web site's computers and stored on your computer's hard drive. When you visit the website again, cookies allow that site to recognise your browser. Cookies may store user preferences and other information. Most web browsers automatically accept cookies, but if you prefer you can change your browser to prevent that or to indicate when a cookie is being sent. You are not obliged to accept cookies and you can adjust your browser's setting to prevent it from accepting cookies on your computer - please refer to your web browser help file for instructions on how to disable cookies. However, some of our website features or services may not function properly without cookies. For more information on cookies and how to enable/disable them in most browsers please visit AboutCookies.org.  The Fat Ape Jungle website uses mobile device detection, which automatically sets a cookie in order to anonymously identify whether users are accessing the website from a mobile or handheld device. If such a device is detected, the user is then directed to the mobile version of our website at http://www.fatapejungle.com/mobile. This data does not personally identify the user and is used solely to improve the experience of mobile visitors to our website. This is a session cookie which exists in temporary memory while you are navigating the Fat Ape Jungle website. Most web browsers delete session cookies when you close your browser. The Fat Ape Jungle website uses language detection, which automatically sets a cookie in order to anonymously identify the language of the users' device. When shopping on the Fat Ape Jungle website, cookies are used to remember items placed in the cart as you browse the website. You are also presented with the option to set a cookie which will remember your personal data for repeat visits to the shopping cart. No credit card or payment data is stored in these cookies. These cookies are only set when using the Fat Ape Jungle Vinyl Store. The Fat Ape Jungle website uses embedded Soundcloud Objects for music playback. Soundcloud (http://soundcloud.com/) uses Flash cookies to synchronise information between multiple Soundcloud players. This ensures that one player is stopped when another player starts. Soundcloud does not use Flash cookies for the purposes of collecting any personal data, and does not use Flash cookies to respawn any cookies that you might previously have deleted. The Fat Ape Jungle web host uses Google Analytics, which automatically sets a cookie in order to anonymously identify when users return to specific websites. https://www.google.com/intl/en/privacypolicy.html. To opt-out of Google Analytics tracking cookies visit: https://tools.google.com/dlpage/gaoptout. The Fat Ape Jungle web host uses the Quantcast website analytical service, which automatically sets a cookie in order to anonymously identify when users return to specific websites and provide anonymous usage data. Quantcast uses the information sent with this cookie to analyse log data from different websites and combine it with other non-personally identifiable information to produce the reports that are made available on the Quantcast.com website, to enable web publishers and advertisers to deliver audience segments that are appropriate for their products or services. Features for sharing via Facebook. Does not set a cookie by itself, but if one is present it will read it. When you create or log in to an account on https://www.facebook.com cookies are stored on your computer in order to remain logged-in to your account when visiting https://www.facebook.com again. The Facebook Like Button used on our website is hosted by https://www.facebook.com and your browser sends this cookie data to Facebook when creating the button inside your browser. This data is used by Facebook in order to associate the Facebook Like Button with your Facebook account. This information is not accessible to us, and is not sent to us by Facebook. Features for sharing via Google +1. Does not set a cookie by itself, but if one is present it will read it. When you create or log in to an account on https://plus.google.com cookies are stored on your computer in order to remain logged-in to your Google account when visiting https://plus.google.com again. The Google +1 Button used on our website is hosted by https://plus.google.com and your browser sends this cookie data to Google when creating the button inside your browser. This data is used by Google in order to associate the Google +1 Button with your Google account. This data is not accessible to us, and is not sent to us by Google. Features for sharing via Twitter. Does not set a cookie by itself, but if one is present it will read it. When you create or log in to an account on https://www.twitter.com cookies are stored on your computer in order to remain logged-in to your twitter account when visiting https://www.twitter.com again. The Twitter Share Button used on our website is hosted by https://www.twitter.com and your browser sends this cookie data to Twitter when creating the button inside your browser. This data is used by Twitter in order to associate the Twitter Share Button with your Twitter account. This data is not accessible to us, and is not sent to us by Twitter. If you wish to view or access the personal information held by us, you may contact us by email. We will provide you with copies of any and all the personal information we hold about you, which you may ask to be deleted from our systems at any time.